Get inspired by our specialty chocolates and discover our range of skillfully crafted Swiss chocolates. Swiss chocolate is unrivaled with its signature creaminess & fresh milky taste. Consumers love treating themselves to premium quality products, be it fresh Argentinian beef, fine French wine of extra virgin oil from Italy. Same with chocolate: they are looking for the highest possible quality and they are willing to pay for it. A study of 2016 shows that Swiss made is one of the most aspirational claims for chocolate in countries like the USA, Italy, Saudi Arabia, China, Japan, Switzerland and more. Be it the creaminess of the fresh milky taste or the fineness and purity of the chocolate, Swiss made is a great way to offer your consumers the high quality they like. 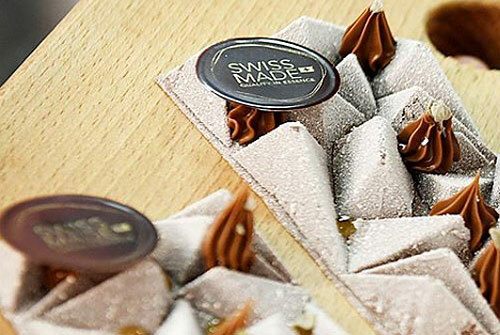 Treat yourself to all the possibilities of confectionery creations with Swiss made chocolate. 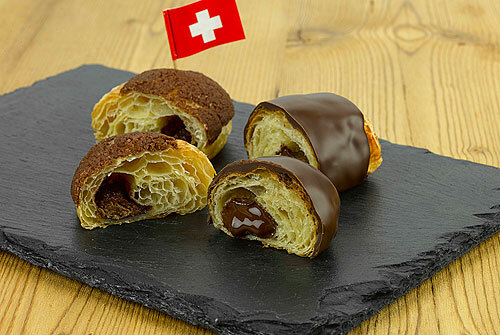 Wake up gently with a delicious pastry - delicately crunchy crust revealing a smooth Swiss chocolate filling. Swiss chocolate can lift the quality perception of your creations, be it chocolate tablets, muffins, croissants or ice cream. The Swiss have been perfecting their technique with incomparable attention to detail. Nowadays the finesse and purity of Swiss chocolates are impeccable. Especially the milk ones where the tender milk from the alpine pastures, gives the chocolates its signature taste. For our signature milk chocolate, we only use Swiss milk from grass-fed cows and swiss sugar. This creates a great purity and guarantees the rounded and harmonious taste. At Barry Callebaut we make premium quality Swiss couvertures for artisans and brands. With our passion and continuous innovation, we guarantee invariable - and delicious - quality. For your creations, you can select from a wide range of pure chocolates and fillings produced in a charming Swiss village of Dübendorf. This way you can savor the fine silky taste of creamy Swiss chocolate in all your creations. 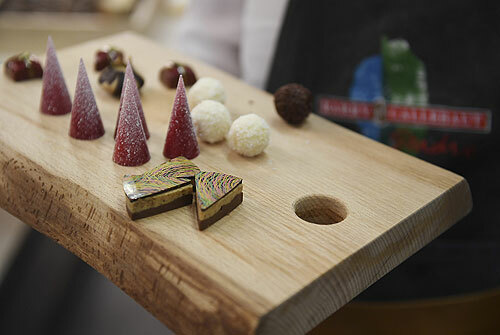 Adding a Swiss couverture dimension is a great way to premiumize your creations and create a multisensorial experience in each bite. Swiss tablets with luscious nuts, caramelized hazelnuts, blackberry crispy whispers, etc. Milk chocolate made from only Swiss milk and sugar has a purity and finesse that is unmet. The chocolate is perfect for molding, enrobing and hollow figures. Signature Swiss made white chocolate that is unflavored and without lecithin. This chocolate has an unmet purity due to the use of Swiss milk and Swiss sugar. Swiss made chocolate perfect for molding, enrobing and hollow figures. This chocolate is made with only Swiss milk and sugar and has a low cocoa intensity. The tender milk from the alpine pastures gives this Swiss made milk chocolate its signature taste. This chocolate is not flavored and without lecithin which adds to its purity. White chocolate with only Swiss made milk and sugar, perfect for molding, enrobing and making hollow figures. This pure Swiss made milk chocolate is not flavored and is without lecithin. It is perfect for enrobing and to premiumize your creations.